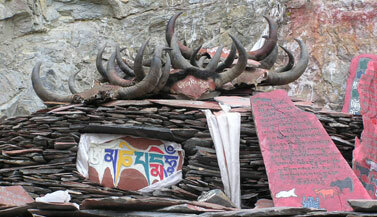 Often times the big stones are carved and painted with the mantra Om Mani Padme Hum, the mantra of Chenrezig, Buddha of Compassion. 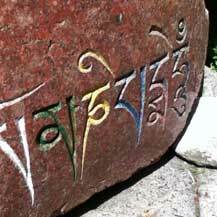 If you’ve ever been to Tibet or Ladakh in Northern India you are familiar with the sites of beautifully crafted mantra tablets or mani stones. 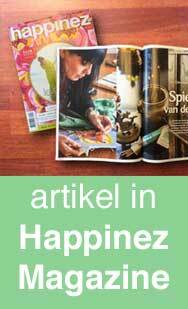 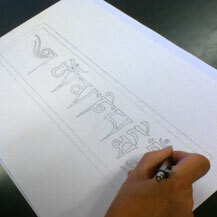 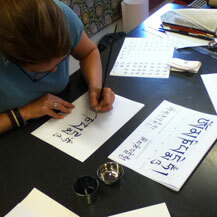 Carmen regularly offers classes in Mantra drawing & painting. 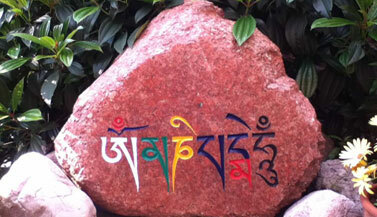 Should you want to have your mani mantra stone painted, please contact the artist.